February Tournament at Game Preserve! 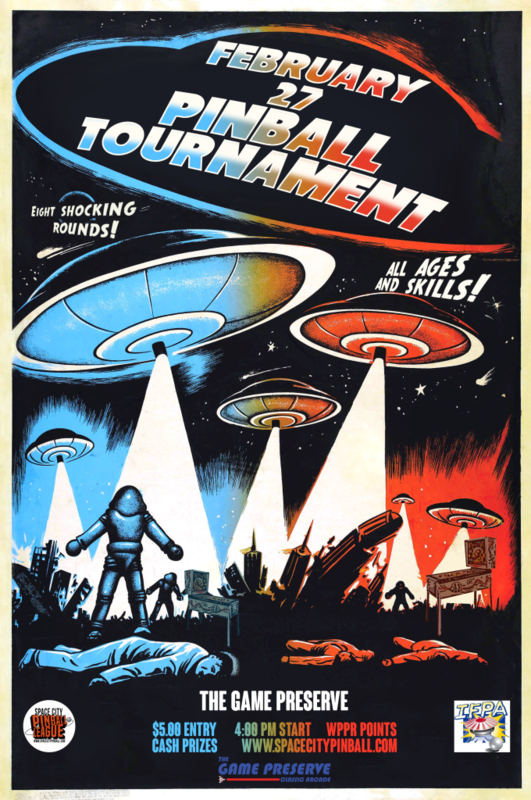 The next monthly tournament of the Space City Pinball League well be held Saturday February 27th at The Game Preserve. More information can be found on the Game Preserve tab. Congratulations to Phil Grimaldi for winning the A-Division, and Rob Torres for winning the B-Division.